Ben Harper gets right to it: "I'm going to shock you all with a record that peels the paint off the walls!" he says of the album he's making with his new band, Relentless7. And what better way to prove it than by covering the mighty Led Zeppelin? White Lies For Dark Times is the intended title of the disc Harper is cutting with guitarist Jason Mozersky, drummer Jordan Richardson and bassist Jesse Ingalls. The album is set for release next May. Relentless7 are now streaming some samples of their work, a spirited original called Serve Your Soul and a muscular take on Zep's Good Times Bad Times. You can check them out here. This isn't the first time Ben Harper has tackled Led Zeppelin. At 2007's Bonnaroo, he was joined by none other than bassist John Paul Jones and Roots drummer ?uestlove for - you guessed it - Good Times Bad Times. Watch a short clip. A Harper spokesperson says that The Innocent Criminals, the artist's longtime band, are very much still together. Word is that Harper simply wanted to try something a little different - like stripping paint from the walls. 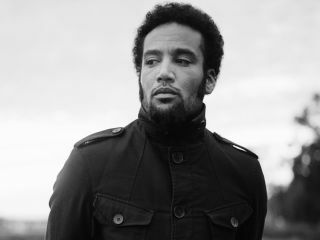 Here at MusicRadar, we like Ben Harper. Always have. However, we have to be honest: Musically, Relentless7 can bring it. But Ben, Ben, Ben...those vocals. Don't quite know about those. Of course, here's another way of looking at it: Myles Kennedy's chances of joining Led Zeppelin just got one better.